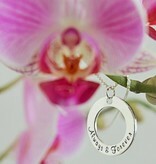 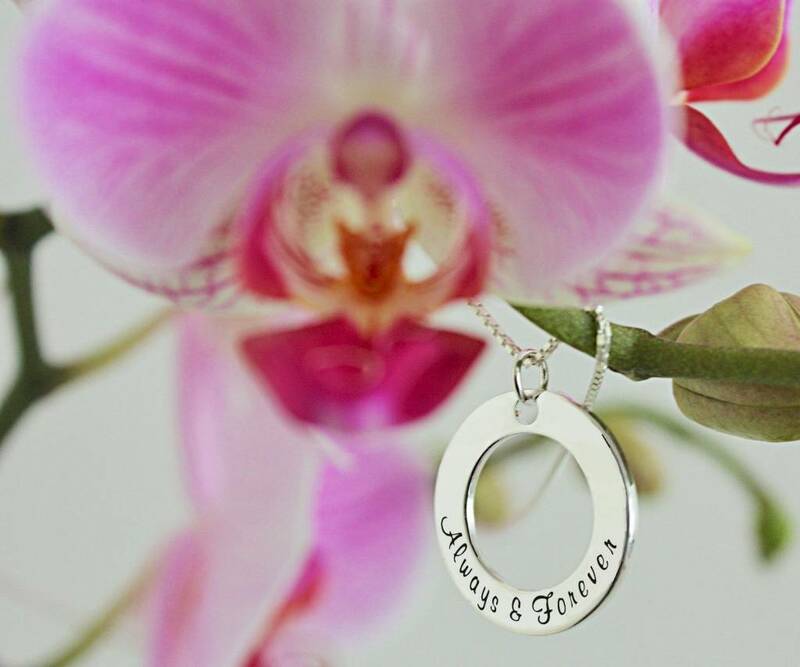 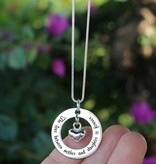 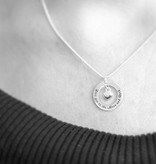 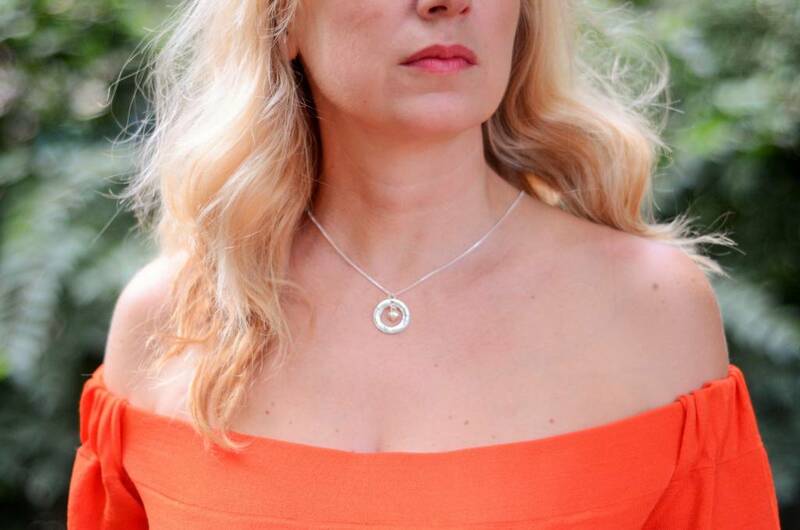 Sterling Silver Washer Pendant Necklace from Kaya's 'Words of Love' collection. 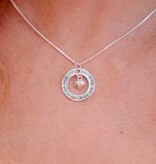 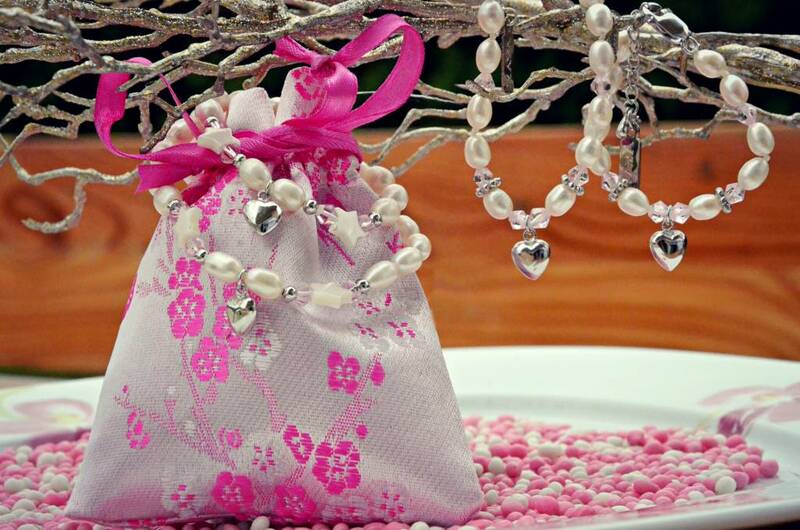 Sweet gift for a lovely mum! 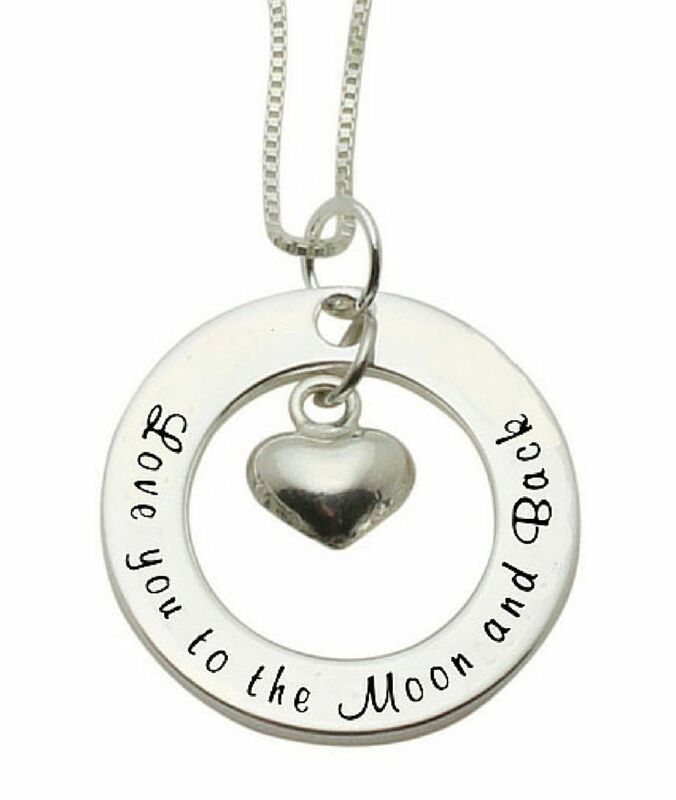 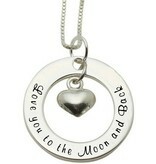 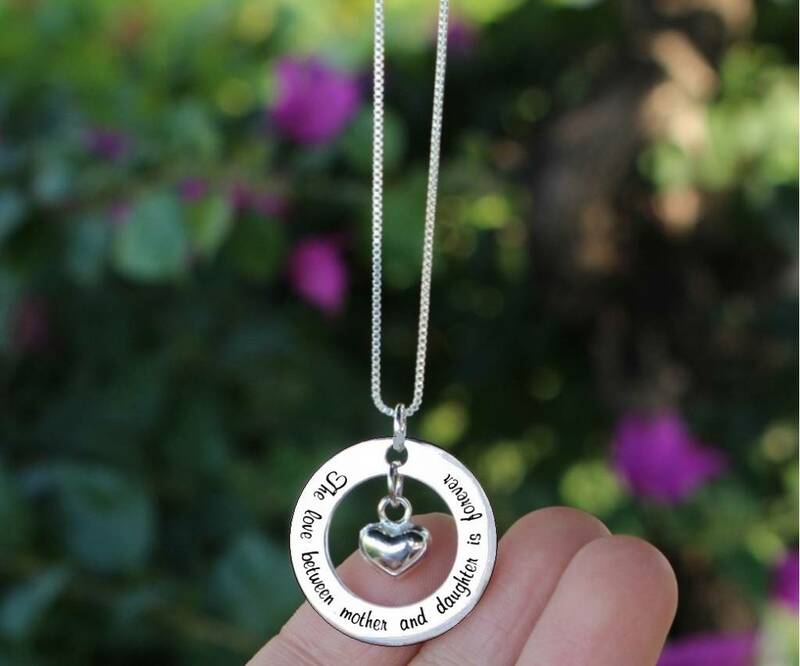 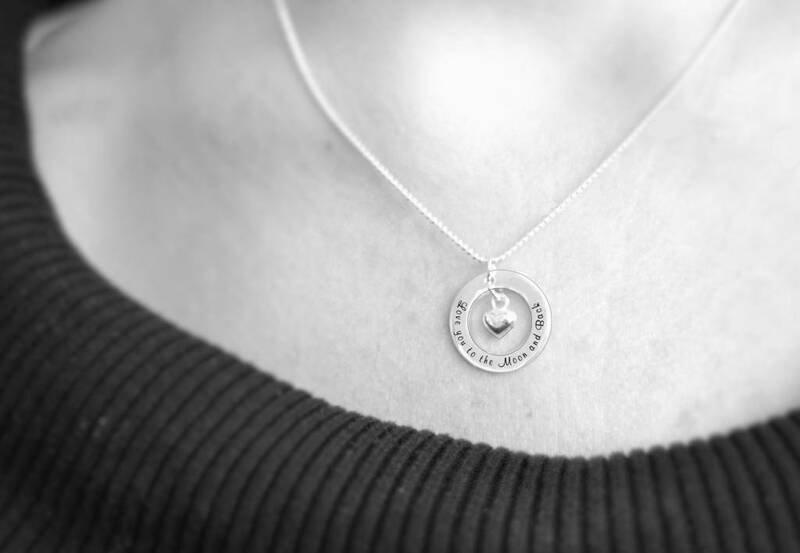 The text: Love you to the Moon & Back is carefully engraved in the 22mm round real silver washer and it comes with a modern sterling silver box link chain and a heart charm in the middle. 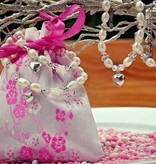 Just choose your size of chain.